During the day, business/resort casual sportswear is appropriate attire for our business sessions. This includes khaki slacks, polo-style shirts, or sweaters for the gentlemen; slacks, skirts, polo-style shirts, blouses, or sweaters for the ladies. Remember meeting room temperatures and personal comfort zones vary widely. It is recommended that you bring a sweater or jacket to the sessions. Outdoor receptions are planned – weather permitting. While planning your wardrobe (casual and comfortable clothing; jackets are recommended), please remember that Atlanta’s average high and low temperatures in early May are 77° high and 57° low. If you lose or delete your receipt, you may retrieve a copy by following this link. Your registration fee covers the Welcome Party on Sunday, breakfast, lunch, refreshments and the reception on Monday, breakfast, refreshments and the reception on Tuesday. MSCI is bringing you the “who’s who” of the steel industry in this transformational Annual Meeting program. On both Monday and Tuesday, you will hear firsthand from carbon mill presidents and CEOs. These esteemed industry leaders will each take the stage to answer the decisive question: Within your company’s commercial strategy, how do you view the role of service centers? Mark D. Millett, President & Chief Executive Officer, Steel Dynamics, Inc.
Keybridge Research will introduce the new MSCI Momentum Monitors. These quarterly end market forecast reports will be available soon and predict important metals end market activity. Gisbert Rühl will share how he ultimately changed Klöckner’s supply chain, made the organization more efficient, and embraced digital disruption. Monday evening is open for the traditional customer entertainment. Lunch for the Golfers will be served at Paddy’s Irish Pub beginning at 11:30 am. Transportation to the course begins from Paddy’s at Noon. Tuesday evening is open for the traditional customer entertainment. Are you an MSCI Affiliate Member? Is this your first Annual Meeting or first MSCI event? The MSCI Board of Directors and MSCI staff welcome you to the 2018 Annual Meeting! Please join us for an early start and meet Board Members and staff prior to our Sunday Welcome Party. Located within the bustling Atlanta metro of Braselton, Château Élan Winery & Resort, the enchanting 16th century-styled château and full-service winery nestled among North Georgia’s picturesque foothills, offers guests traveling for business or leisure a unique destination experience marked by its unmatched luxury, distinguished offerings and amenities. Home to the most awarded winery in the Southeast, seven delectable restaurants, 40,000 sq. ft. of meeting space, a destination spa and 45 holes of championship golf managed by Troon Golf, Château Élan invites guests of all preferences to explore and enjoy the property’s picturesque land and architecture. From the moment you drive through the gates of Chateau Elan until the moment you leave, you will experience warm Southern hospitality combined with the beauty of the French countryside. 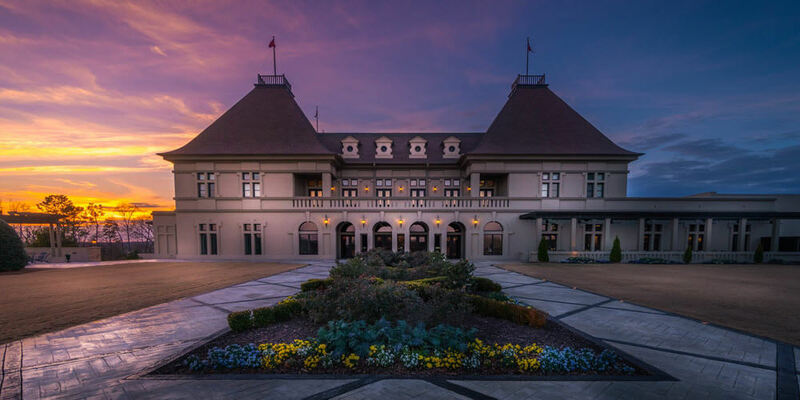 Within the sweeping panorama of the North Georgia foothills, just 40 minutes away from Atlanta, Chateau Elan began with the planting of vineyards in 1981. From these lush vines of Chardonnay, Merlot, Cabernet and Riesling grapes has grown a 3,500-acre conference and leisure destination where French provincial and Southern hospitality combine to produce exceptional wines and warm memories. Room rates (single/double occupancy, plus taxes) – Resort fees have been waived. Please note: It is recommended that you make your hotel accommodations early to ascertain availability. These rates are available three days prior and three days after the conference, based upon availability. MSCI cannot guarantee availability or the room rate after Monday, April 2 or when the MSCI room block is filled— whichever occurs first. Château Élan Winery & Resort is located 55 miles from Hartsfield-Jackson Atlanta International Airport. One-way taxis cost approximately $130 and are an hour drive. Transportation can be arranged through Château Élan’s Partner Cooper-​Global Chauffeured Transportation. Transportation must be arranged prior to your arrival and may be done via e-mail ChateauElan@cooper-global.com, online at http://cooperglobal.com/ or by phone 770–455-​9600, toll free 1–866-​723-​LIMO(5466). Self-Parking is convenient and complimentary throughout Château Élan. Valet Parking is $20 for overnight, and $10 for just the day available at both the Inn and the Spa. Fee: $200.00 per person, inclusive of transportation to the course, buffet lunch, cart beverages, tournament and green fees, and carts. TaylorMade M2’s rental clubs are available to rent for $64 plus tax and are charged to your room portfolio. 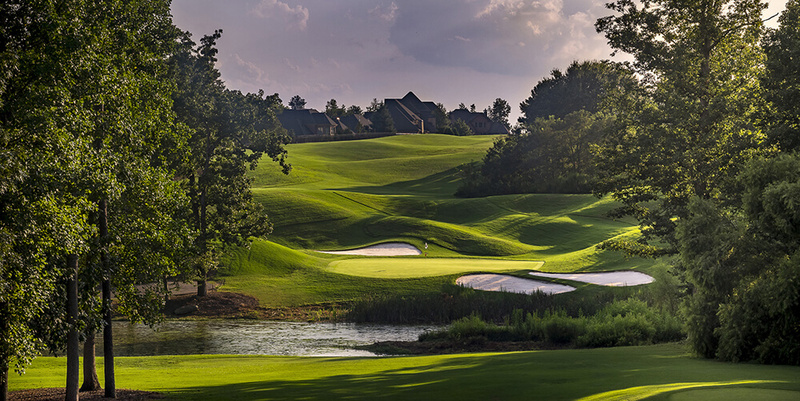 Golf pairing requests will be taken until Monday, April 30, 2018. Please email confirmed foursomes to Rose Manfredini. After that time, we will be unable to accommodate special requests. A winery team member will guide you through the wine production room where the winemaking process is explained. Weather permitting, the tour guide will lead guests through the vineyard where they will have the opportunity to see the vines up close and learn about the grape growing process. Then, the group convenes in the tasting room where a reserved tasting area awaits. 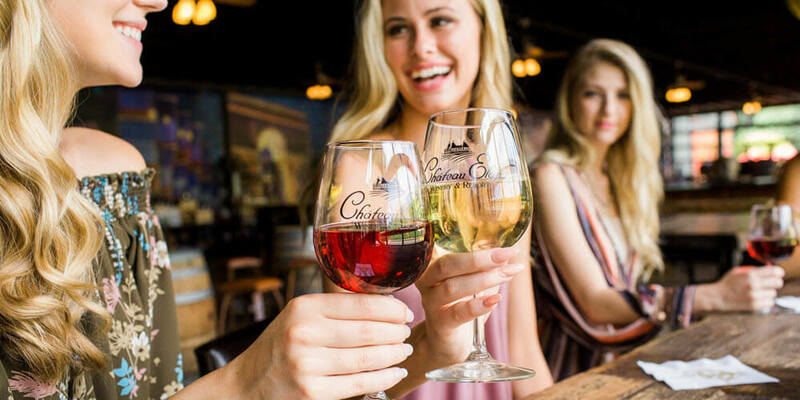 Here, you will taste eight Chateau Elan premium wines. During the tasting, each wine is paired with artisan cheeses. Gather for a Ladies Day Out in the Spa at Chateau Elan. Celebrated as Atlanta’s only spa destination experience for both women and men, the European-style Spa has 14 newly-renovated luxurious overnight guest suites and is nestled inside a 35,000 sq ft mansion overlooking a sparkling lake, canopied forest of trees, emerald green lawns and flowering shrubs. The Spa’s interior is equally beguiling with a peaceful ambiance, elegant furnishings and all the amenities to promote utmost serenity and relaxation. Everyone enjoys their choice of either a soothing 50 minute full body Chateau Essential Massage or our revitalizing 55 minute Chateau Essential Facial. After being rejuvenated, share old stories over a gourmet Spa lunch, celebratory cupcakes and a glass of bubbly. Don’t miss the opportunity to generate new leads and raise positive awareness of your company. Be a 2018 Annual Meeting sponsor and build on your relationships within the metals supply chain. Deadline to submit artwork is Thursday, March 31. Limit one sponsor per event, unless otherwise noted. Room keys provided upon check-in SOLD! Sponsored by KASTO, Inc.
John J. Ferriola is Chairman, President and Chief Executive Officer of Nucor Corporation. Mr. Ferriola joined Nucor Corporation in 1991 as Manager of Maintenance and Engineering at the Jewett, Texas bar mill. In 1995, he was named General Manager of Nucor’s Grapeland, Texas joist fabrication division. Later the same year, he was named Vice President and General Manager of Nucor’s Norfolk, Neb. bar mill. From 1998 to the end of 2001, he served as Vice President and General Manager of the Crawfordsville, Ind. sheet mill. In January 2002, John was appointed as Executive Vice President and in September 2007 was named Chief Operation Officer of Steel Making Operations. He became President and Chief Operating Officer and a member of the Board of Directors in January 2011. In January 2013, John was elected to the position of Chief Executive Officer and President. John currently serves as the Chairman of the Board of Directors of the Steel Manufacturers Association (SMA) and as Vice Chairman of the Board of Directors of the American Iron & Steel Institute (AISI). John has been active in the Association for Iron and Steel Technology (AIST) for over 20 years and has served on its board of directors. He has also served on the Board of Directors of the National Association of Manufacturers (NAM). Prior to joining Nucor, John began his career with Bethlehem Steel Corporation in 1974, and worked for 17 years in various operating and management roles. John graduated from the Maritime Academy, State University of New York with a Bachelor of Science degree in Electrical Engineering. In the spring of 2012, he received an honorary Doctorate from the South Dakota School of Mines and Technology. From 1996 to 1998, Miller worked at Caparo Steel as the head of the Treasury Group. In 1998, he joined Duferco as Treasurer (Finance Manager) for the Group’s US companies. From 2003 to 2011, he served as Executive Vice President and Chief Financial Officer of the Duferco Farrell Corporation, and later NLMK USA. In 2011, he was appointed President of NLMK USA, responsible for the Corporate Services Group. John holds a degree in Business and Finance from Pennsylvania State University, and a Master of Business Administration (MBA) from Duquesne University (Pittsburgh). Mark is a co-founder of Steel Dynamics, Inc. (SDI) and President and Chief Executive officer since 2012. Prior to this position, Millet was President and Chief Operating Officer of OmniSource. Prior to the formation of Steel Dynamics, Mark worked for Nucor Corporation for 12 years and earned his bachelor’s degree in metallurgy from the University of Surrey, England. Kirk W. Reich has served as President and Chief Operating Officer since January 2016.. Prior to that, Mr. Reich served in a variety of other capacities since joining AK Steel in 1989, Reich received his undergraduate degree from The Ohio State University and an MBA from the University of Notre Dame. Chuck Schmitt is president of SSAB Americas. Schmitt began his career in the steel industry with U.S. Steel’s management trainee program in 1985. In 1990, he joined IPSCO as the Midwest sales manager and held various roles within the organization including government affairs and overseeing the company’s southern business division. A fourth-generation steelmaker, Schmitt received his B.B.A. from the University of Texas in Arlington, Texas. A full refund will be issued for cancellations received in writing by MSCI by 5:00 pm Friday, March 2, 2018. cancellations received in writing by MSCI by 5:00 pm before Monday, April 2, 2018, will receive a refund of 50% of registration fees paid. No shows and cancellations received after that time will not be eligible for refunds. Substitutions may be made at any time. Written cancellations or substitutions will be accepted by contacting Briana Dee. Activity registration deadline is Monday, April 2, 2018. No refunds on cancelled activities or golf will be issued after this date as we are obligated to provide guarantees to our vendors.